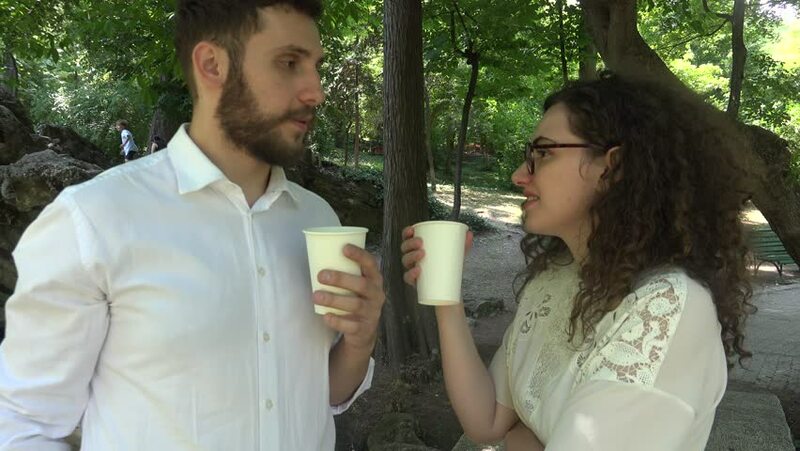 hd00:16Beautiful man and woman drinking coffee from a thermos in the park. Young couple walking in the forest, they smiling and basking tea. Autumn in the background.